Hi all, hope you’re well and having a great week irrespective of what this London weather has thrown at us. Hailstones, sunshine, rain, wind; we still are here! Spring doesn’t seem to have sprung this time; yet, we’ll remain hopeful for the next. Occasionally, I’m drawn to creative attempts at the double denim look, whilst consciously rebutting the possibility of it being me. Reason why, you might ask; my response being – it requires the perfect pair of denim, which my wardrobe lacked. Three posts ago, I questioned whether I’d found The One. Oh so soon, I think I have fallen in love with this Zara jacket. It complements my current favourite pair of jeans so beautifully and perfectly. With a clean pair of sneakers and tan tones, this look is very much suitable for Spring/Summer. What do you think? Have I found The One? So amazing outfit, love this style! 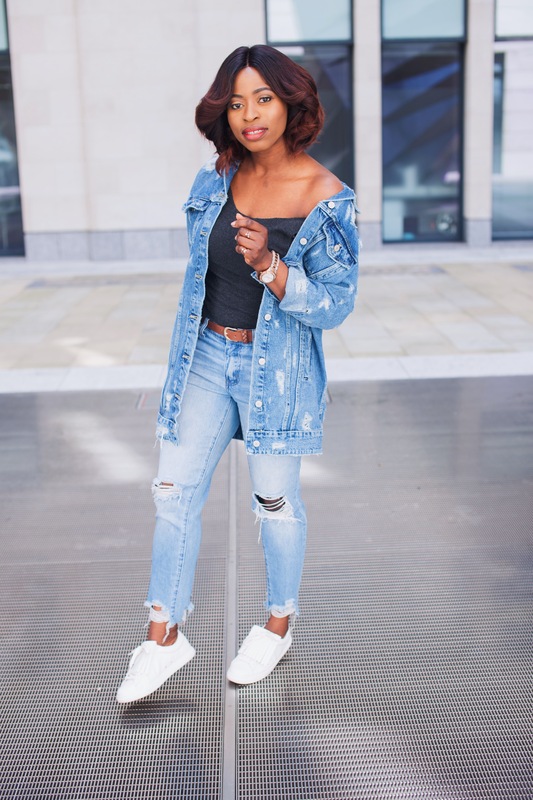 I love the double denim look! The sneak and bag work nicely with this casual chic look. I really need a new denim jacket because mine has a stain on it—although after seeing this…maybe I’ll just distress it where the stain is!! 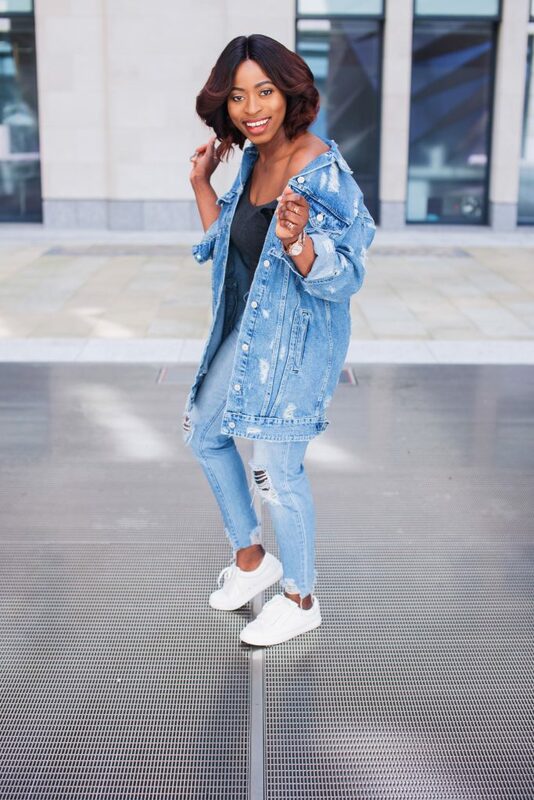 Your denim oversized jacket is absolutely cool! I’m really loving this denim pairing! The distressed details add a very edgy and nostalgic 90s vibe, I love it! Thanks for sharing, beauty, and I hope you have a great weekend ahead! Belíssimo look!! Gostei muito da jaqueta. 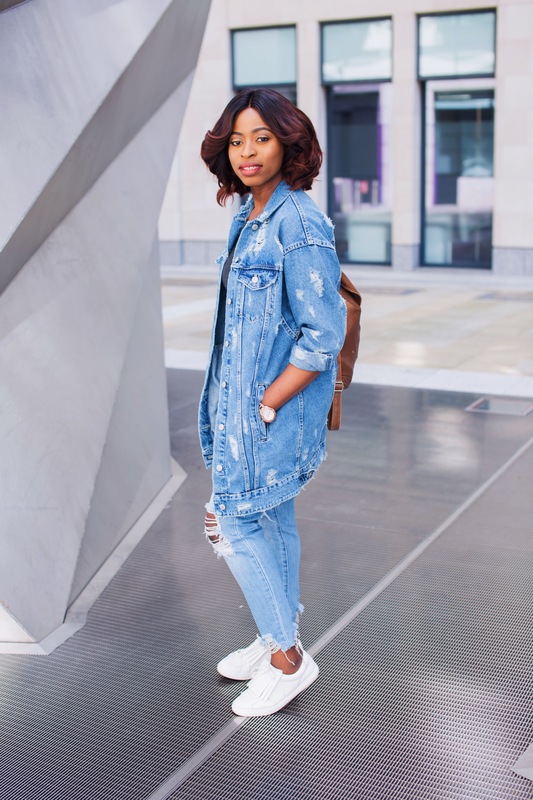 I love double denim and you are rocking this look! 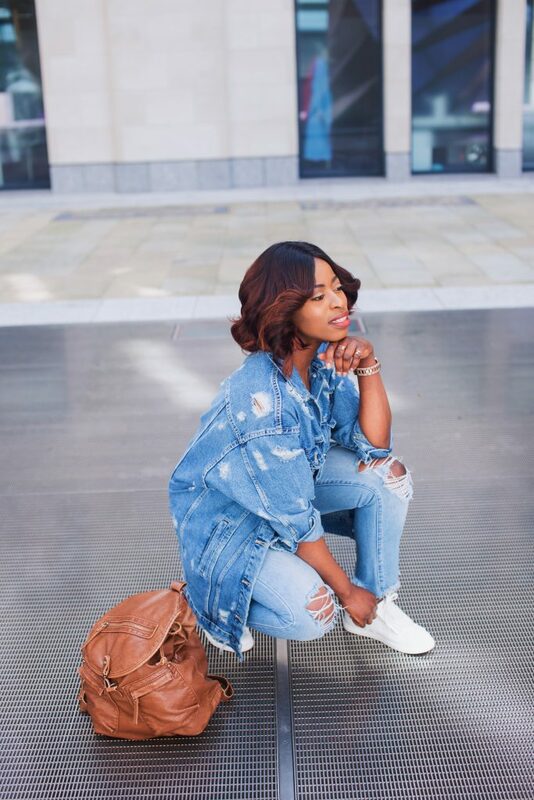 Love this double denim look on you!! Legit loving these jeans. Such a cool look, love the jacket! This denim on denim outfit is so on point! You styled it so well! I love denim on denim! This jacket looks amazing on you!! Naaa you did that ???????? I absolutely love it, casual but still chic at the same time ?????. So cute, i love your denim jacket!! 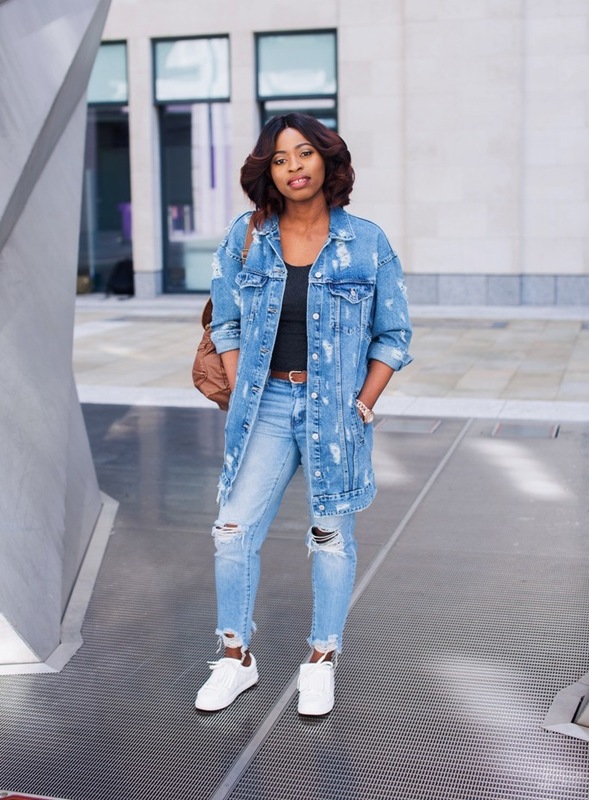 I have been trying to stop wearing double denim but I just can’t, it is so addictive! 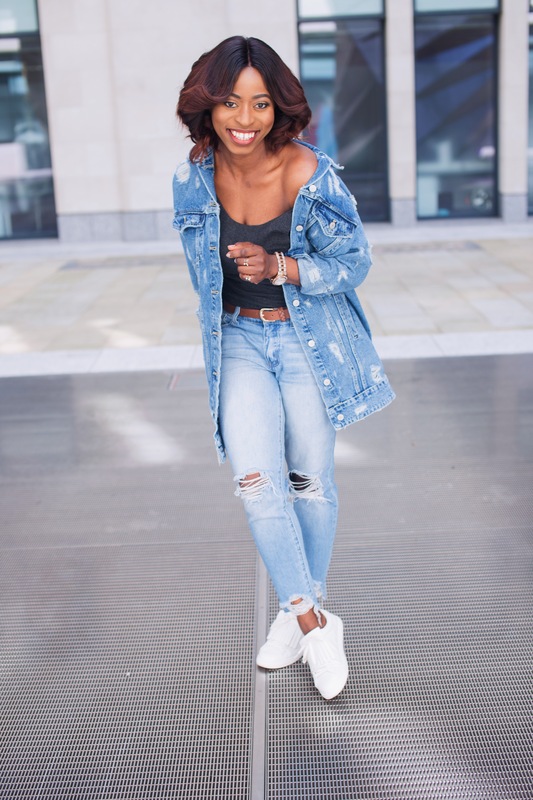 I always love wearing double denim! Love your jacket girl! 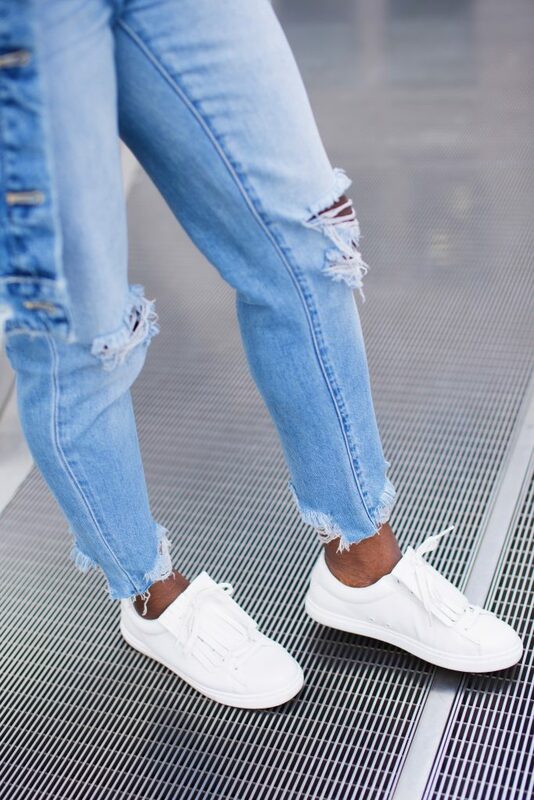 Great denim on denim, lovely! you can never go wrong with denim <3 this is such a casual and stylish look 🙂 love it! Oh my goodness! Your look is amazing. I love Denim on denim. Thanks for sharing! 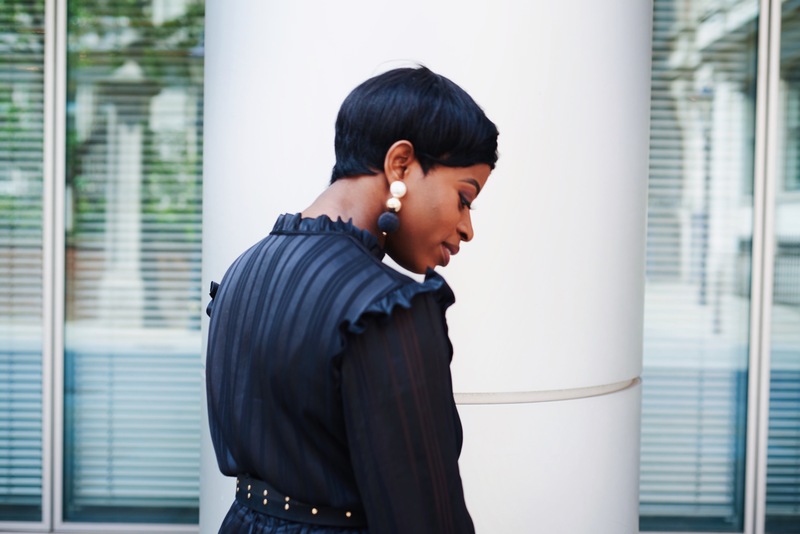 This is such a stunning look, Funmi! Absolutely creative and beautiful. 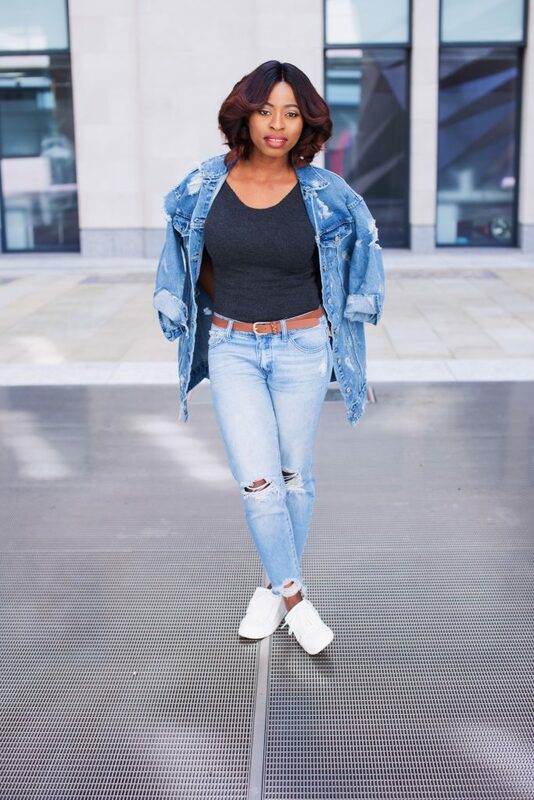 i love the urban chic vibe you portrayed in this outfit….the destructed jeans/jacket, the oversized on trend look. You killed it! You may have found it…until, of course the next perfect one does along…haha! I love love your look ! 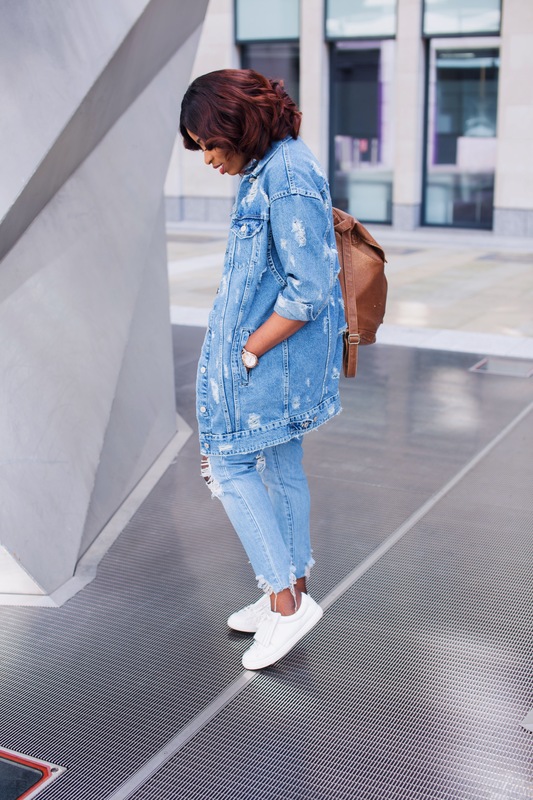 This denim jacket is amazing ! I’m all about denim jacket. Love that first photo of you! So pretty! Such a lovely oufit!! Specially your jacket!! Such a great outfit doll, casual but cute!! 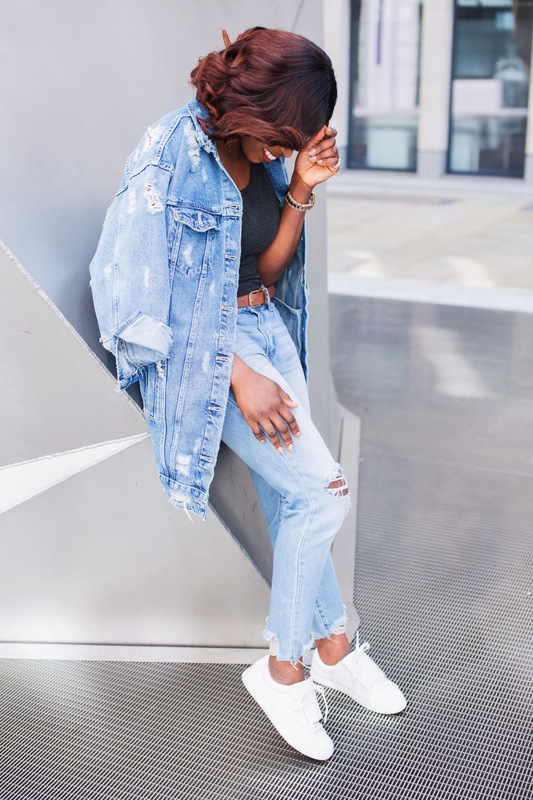 I love this double denim look and those distressed jeans are awesome! Totally digging this, lady- that jacket is amazing! 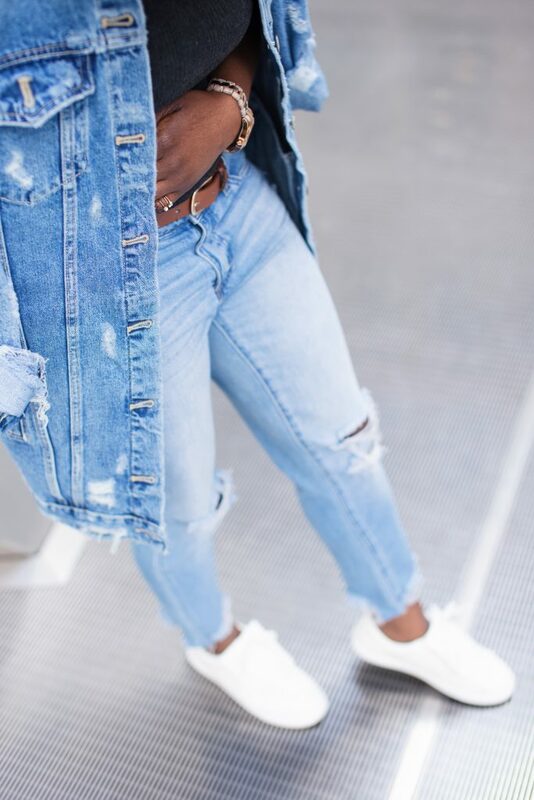 Love this denim outfit! You look stunning!! A perfect look, nice style!! I love your denim jacket! You look beautiful! I’m just in love with this look. I wear denim over denim all the time! That jacket is just gorg and I also love those white shoes! Girl! You are stunning and I absolutely love this look! I think it’s most definitely “the one”. There’s something about the Canadian tuxedo look that will never go out of style.